Most employees in the EHS realm know that falls are among the most serious of workplace accidents. A new database shows just how deadly an on-the-job fall can be. “[T]o provide information on the circumstances surrounding work-related fatalities, and the recommendations [that] are crucial for injury prevention. The CFD [Construction FACE Database] contains data from both NIOSH and State FACE reports on construction-related fatalities (total of 768 deaths) that were posted as of June 30, 2015. 42 percent (325) of the fatalities involved falls. 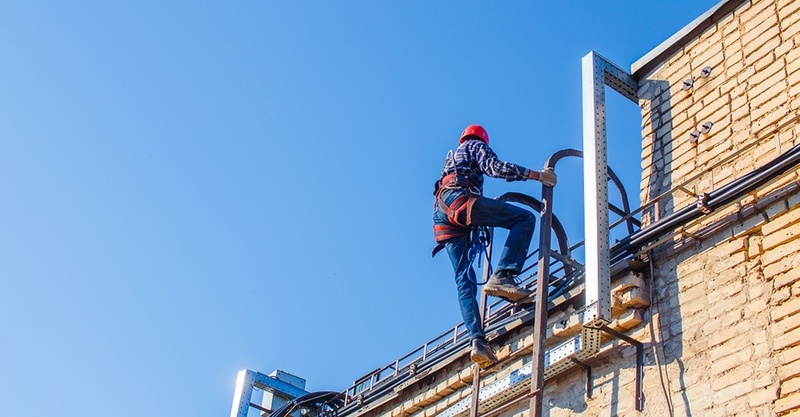 54 percent of the workers killed had no access to a personal fall arrest system, and 23 percent had access to a personal fall arrest system (PFAS) but did not use it. Most of the workers with no access to PFAS worked for residential building contractors and contractors in the roofing, siding and sheet metal sectors. 107 of the 325 falls were from 30 feet or higher. 20 percent of the 768 deaths occurred in the victims’ first two months on the job. You can search FACE reports here. Help ensure that your workers are aware of, and alert to, the risks of working at any elevated height. This course features sophisticated graphics and on-site footage to capture the dangers of working on elevated platforms. This course reviews best safety practices for working with or on scaffolding, including hazard awareness, using ladders, load carrying capacity and material handling and good housekeeping strategies. This course helps stop preventable injuries at your worksites by training employees to select and use ladders safely. This course reviews a variety of fall-restraint systems to train workers how to correctly use these lifesaving resources to safely work in or on elevated area. To view our entire Summit library of over 300 workplace safety courses, click the button below.